The new ordinance will be in effect 365 days a year. At its Sept. 26 meeting, Town Council unanimously approved an ordinance on first reading that would create four districts to support water conservation efforts. Most recently, at the Oct. 17 council meeting, this ordinance was passed in a final vote and is now in effect. This ordinance has come as a result of the state Department of Environmental Protection telling council that amendments to the current ordinance had to be made to follow the state recommended guidelines. The township’s previous water conservation ordinance, which has been in effect since at least the 1980s, would only be utilized if the township declared a water conservation emergency. Even then, it required homes be on either an odd or even day schedule depending on their address, and it did not give specific time windows. Additionally, there is still a list of exemptions to this including any new landscape may be watered daily during these times for the first 21 days. Then, residents must abide by their zone’s designated watering days. For a full list of exemptions, residents can review the township document at: http://www.moorestown.nj.us/DocumentCenter/View/1397. 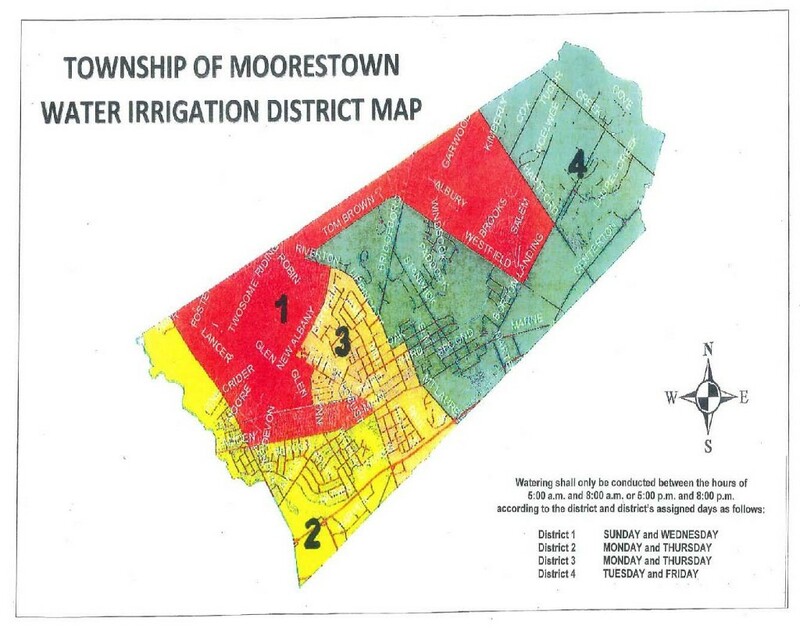 “Moorestown Water Group is pleased that township officials have finally approved the ordinance they agreed to put in effect by summer of 2015 when they signed a Memorandum of Agreement with NJDEP in spring of the same year,” the Moorestown Water Group commented. If residents have questions regarding this ordinance, they can contact the township at (856) 914–3001.